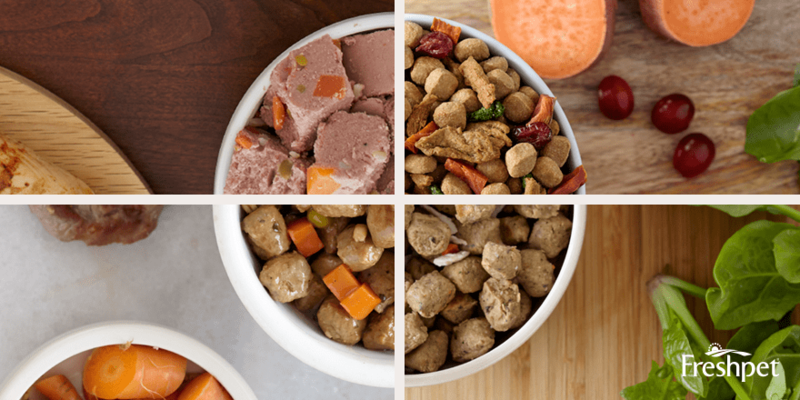 We know many parents like to plan ahead for the week’s meals to save on precious time, and we couldn’t help but think it could also be the perfect time to prep for your pet’s meals too! Here’s how you can get everything ready at the start of the week to have carefree mealtimes every morning and night. 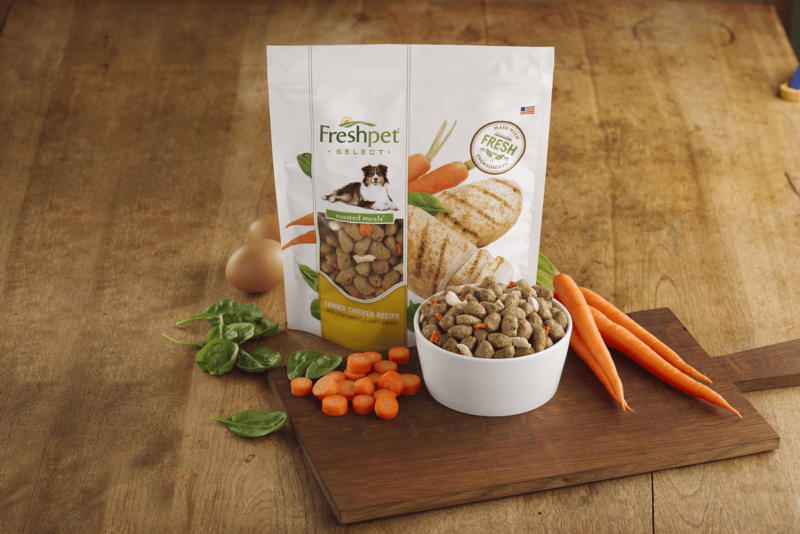 Pre-cut or pre-scoop your cat or dog’s mealtime servings and use resealable bags or containers to hold the portions aside. This will help cut on time spent slicing and dicing in the kitchen and give you more time to spend with the family! Variety is the spice of life and just like humans, our pets would much rather have something tasty and different to eat. Try a different protein sources such as Turkey or Beef, or grain-free options. Also consider mixing up different forms. Change things up by periodically switching from our slice and serve rolls, roasted meals (which are bite-sized “nuggets”), or our Fresh From the Kitchen recipe, which include shredded chicken bites. You can also consider mixing our refrigerated foods with our Fresh Baked recipes - learn more how to do that here. Plan for easy meal routine. 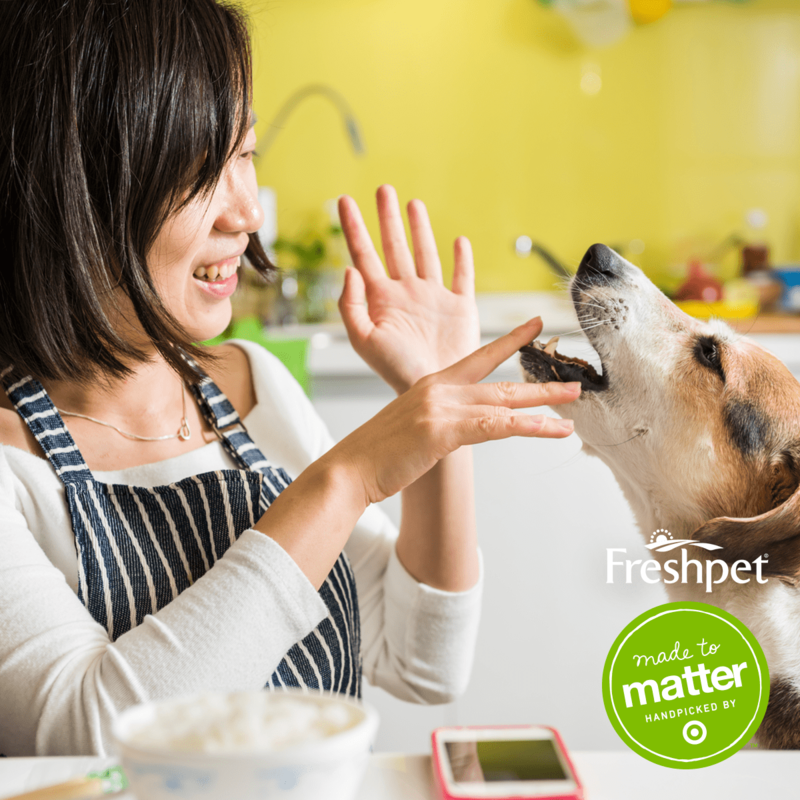 Schedule for breakfast and dinner and have your pet eat with you around the same time each day to establish their routine. Make sure to read the recommended serving size for the day on the label and split it in half if you will be feeding them twice a day. We found your roasted meals when our boy had bone cancer in his nose. It was easy for him to eat and was the only food he really liked. To avoid an argument we also gave a little to his sister on top of her regular food. Our Toby has since passed away, but I have continued to feed Asia a small amount as a treat at breakfast. I'm wondering if anyone has had success in freezing the food. I'm going to try freezing a small amount, as the 1.75 lb bag, when used as a treat, will last nearly 2 weeks. Seems with all the good ingredients that it should freeze as well as anything I cook for the family. We shall see and I will keep you posted! My puppy loves your food. He's a very finicky eater. My two cats just inhale your new cat cups. They LOVE the Chicken & Whitefish. I call your food "meatballs" & now when I tell them they are having meatballs for breakfast, they actually lick their chops! On some primitive level they recognize the word. :-) :-) I'm able to give the two of them three meals from one container so I love that it's so inexpensive to give them nutritious food. They have access to Merrick dry cat food all day also, but they love their FreshPet breakfast & I love seeing them happy. I also feed them your "meatballs" in a bag from time to time, but they like your new cat cups much better...maybe it's.the gravy. They also like Friskies' Tasty Treasures in a can which has gravy. My pugs love the freshpet. I alternate the foods for variety. They also like the new cat food stew with fish.